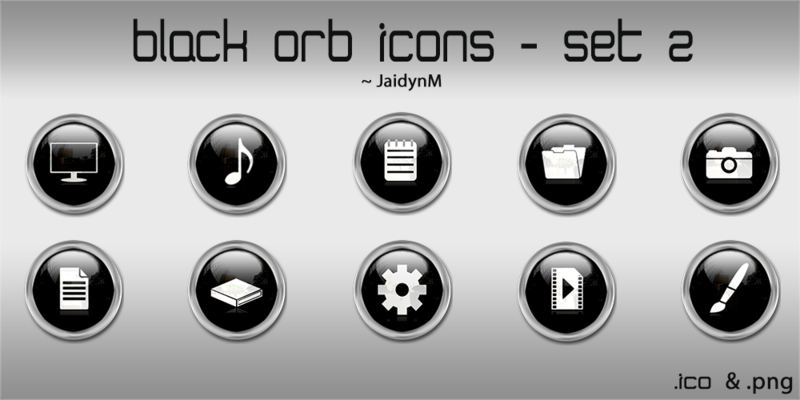 A set of 10 black orb icons. They come in both .ICO and .PNG formats. If you want any more icons, please comment on which ones you want specifically. very nice how do you do that with the city in the background of the orb?